Several state statutes in Washington apply to motorcycle passengers. In addition, towns, cities, and counties are allowed to enact their own regulations as long as they are at least as strict as the state laws and do not conflict with them. The following are important motorcycle passenger laws in Washington State that all riders and passengers need to know. Can a Motorcyclist With an Instruction Permit and Not a Full Motorcycle Endorsement Ride With Passengers? No. Riders who have instruction permits cannot carry passengers on their motorcycles. They are also not allowed to drive at night, with or without passengers. Do Motorcycle Passengers Have to Wear Helmets? Yes. Everyone riding on a motorcycle in the state of Washington must wear a Department of Transportation (DOT) compliant helmet. This includes motorcycle operators and passengers. The Washington State Department of Licensing recommends full-face helmets to protect your face and chin as well as your skull in the event of a crash. Head injuries cause more fatalities than any other motorcycle accident injury. Make Sure Your Motorcycle Helmet Fits! Are There Exceptions to the Law That Requires Passengers to Wear Helmets? The vehicle has a steering wheel, compliant seat belts, and a certified, conforming seating area for the driver and passenger that is completely or partially enclosed. Do Motorcycle Passengers Have to Wear Eye Protection? Washington State law dictates that motorcycles have a windshield unless the operator is wearing glasses, goggles, or a face shield. Is There an Age Requirement for Motorcycle Passengers in Washington? Yes. You are not allowed to take a passenger under the age of five on a two or three-wheel motorcycle in Washington. Does a Motorcycle Have to Include Special Equipment to Carry Passengers? Yes. Passengers can only legally ride on motorcycles that have dedicated passenger seats and either footboards or pegs. Passengers are supposed to keep their feet on the footboards or pegs at all times. Also, motorcycles have weight limits for safe operation. The driver might need to adjust the air pressure in the tires or the bike’s suspension to carry a passenger. Are There Rules for Passengers Who Ride in Sidecars? Yes. When a motorcycle with an attached sidecar is carrying only one passenger, the passenger should sit in the sidecar, not behind the driver on the motorcycle, to prevent tilt. If the motorcycle is carrying two passengers, the heavier one should ride in the sidecar and the lighter-weight passenger should ride behind the driver on the motorcycle. Will Non-Compliance With Washington State’s Motorcycle Passenger Laws Affect an Accident Claim? It depends. Failure to follow motorcycle laws or laws pertaining to passengers could affect the outcome of an accident claim. If the passenger’s behavior or failure to comply with the law caused or directly contributed to the accident and injuries, then yes, the violations may affect the outcome of an accident claim. Those involved in a wreck and who wish to pursue compensation should consult a motorcycle accident lawyer to review the specifics of their case. 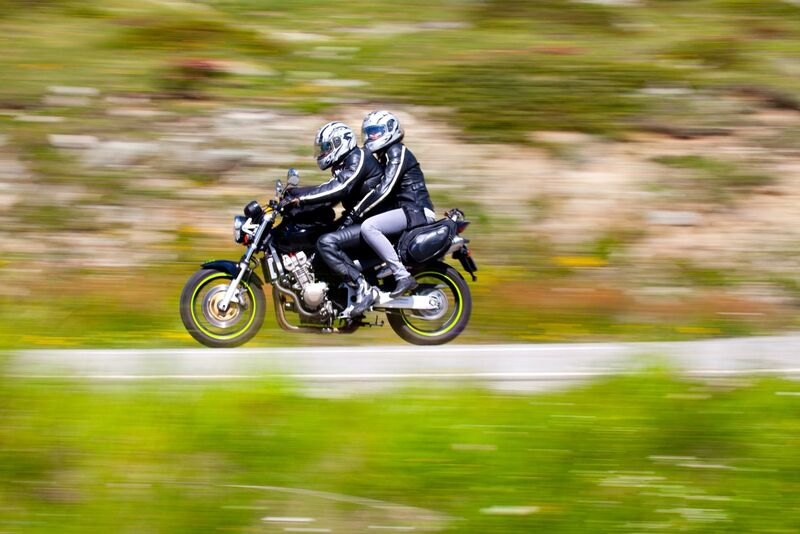 How Does a Motorcycle Passenger’s Negligence Affect Compensation in an Accident Claim? It depends on whether the passenger’s negligence caused the wreck. If the passenger was negligent but the behavior did not lead to the accident or contribute to injury severity, then the passenger’s negligence may not be relevant. For example, the passenger was not wearing a helmet and suffered a broken leg when a car ran a red light and struck the motorcycle. Failure to wear a helmet did not cause the wreck and a helmet would not have prevented a broken leg. Therefore, the passenger’s non-compliance with motorcycle helmet laws most likely does not affect compensation. If, on the other hand, the passenger was engaging in horseplay, which led to an accident, the passenger’s negligence may reduce the amount of compensation the passenger can recover for injuries. This is called comparative negligence. Let’s assume the passenger was 80 percent at fault and the motorcycle driver is 20 percent at fault. Washington’s law on comparative fault will reduce her damages in proportion to the amount of her fault. So, if she had $100,000 in damages, she would only get $20,000 because she was 80 percent responsible. If you suffered injuries in a motorcycle accident, Max Meyers Law can help. Please call us at 425-399-7000 to set up your free consultation.